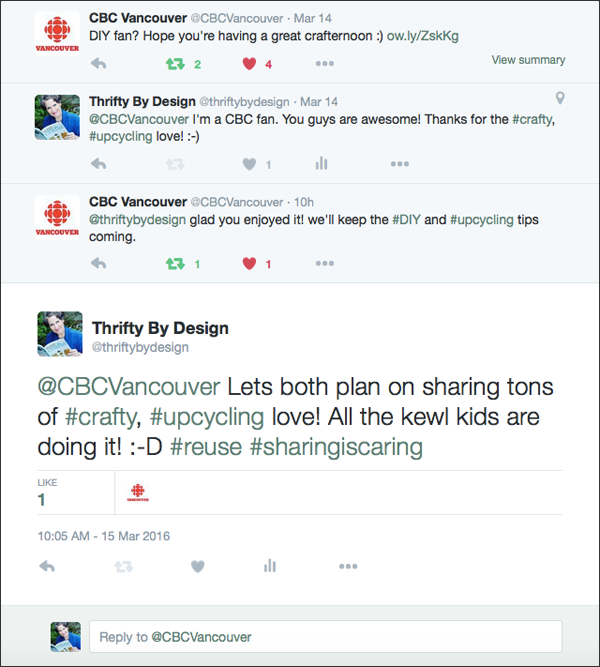 Thrifty By Design: Oh CBC how I love you! Yup I adore the CBC... What a week it's been! 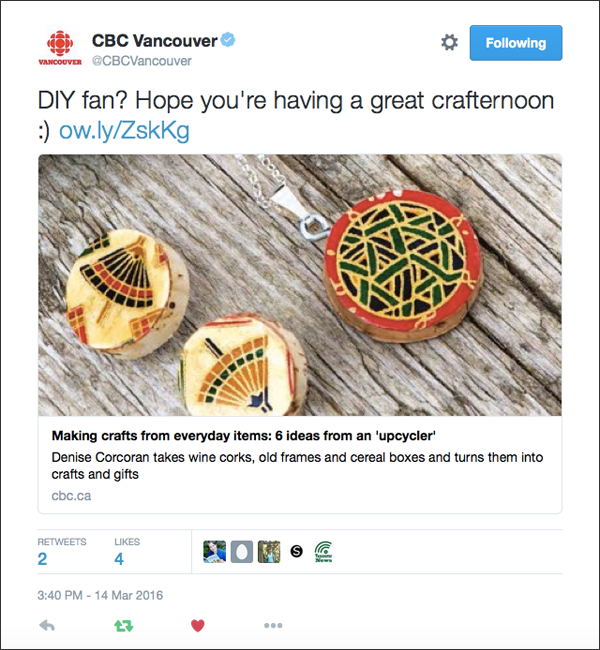 I met with Sheryl MacKay, host of CBC Radio's North by Northwest, last week - we talked about crafting with 'crap', Crafternoons and the crafty book, 'Raw Crafts'. This Saturday the interview aired. It was 13+ minutes of crafty, BFF, goofy awesomeness. If you haven't heard it yet I uploaded it to my TBD YouTube channel. Or find it below. 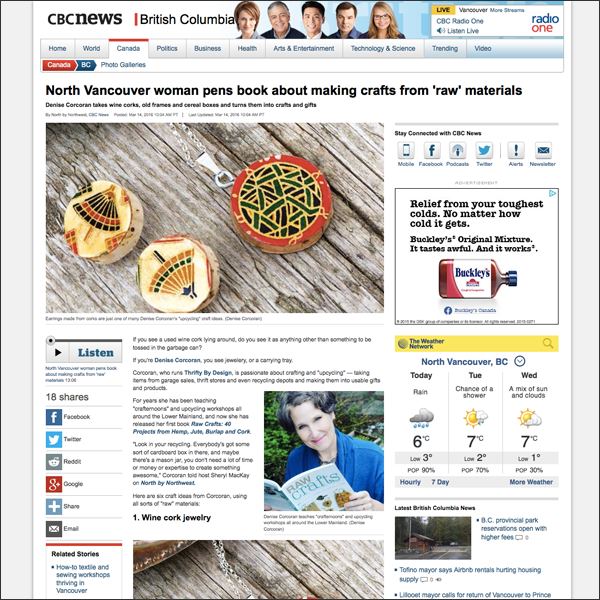 Then my buddy Gavin Fisher, who lined up my last interview with CBC Radio, wrote an accompanying web article, North Vancouver woman pens book about making crafts from 'raw' materials, highlighting 6 DIYs from the crafty book. He made me sound like a pro! And then the social media posts... Wow! My web and social media traffic went way up. Been feeling the love the past few days. Thanks CBC! Sometimes Twitter is a good thing! Such exciting times right now... I have a Crafternoon this Saturday, the book launch is in a week and the author presentation is in 2 weeks. And soon I'll be adventuring to Havana to see my husband, Roly. Life is pretty darn sweet!